She graduated from the Faculty of Mathematics and Mechanics at St. Petersburg State University in 2015. 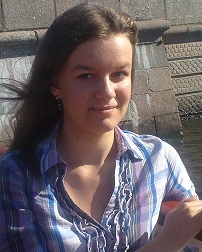 Elizaveta studied C/C++ and Pascal programming languages, she also trained as a systems analyst in a Digital Design company. During her younger school days Elizaveta graduated from the School of Music in piano and she still plays. In her spare time she practices yoga and loves to roller skate.